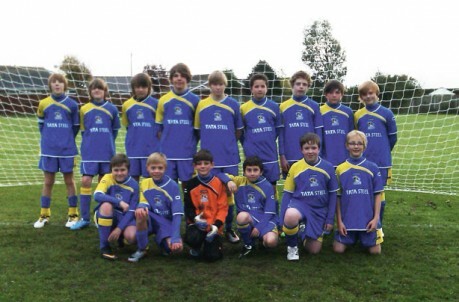 The parents who support Thorngumbald Boys Football Club are a committed lot. Every week they stand on the sidelines cheering the team on, whatever the weather. 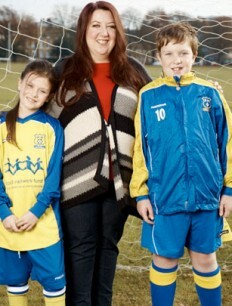 But for one mum in particular, her son’s love of football and his team means something very special. Four years ago, Sharon Weightman’s husband Steve died unexpectedly from a brain hemorrhage. He loved football and was a huge Leeds United fan who passed his passion for the game on to his son, Tommy. Steve was thrilled when Tommy joined the village team, but he never got to watch him play as he died a week before Tommy’s first match. The team has now created a trophy to remember Steve – Most Improved Player of the Season. But the small club was struggling to cope with its costs. So when Sharon saw the P&G Champion Mums’ Foundation competition in essentials, offering mums the chance of a bursary award to help them, their kids or the community, she knew it was her chance to rescue the team. ‘Our teams are the heart of village life and they bring us all together as a community. And the kids get such a lot from it; they’re fit, make friends, and learn team work and sportsmanship.